It’s been happening again and again - you notice the clock right at 11:11. You aren’t sure what it means, but something about it strikes you as important or significant in some way. You try to dismiss it, yet it keeps popping up. What could it mean? Are you losing your mind? Are you just being superstitious? Or could it mean something much more cosmically significant? In numerology, the number 11 is considered a Master Number (along with the numbers 22 and 33). Master Numbers vibrate at a higher frequency than the other numbers. This means they carry more weight when it comes to their influence. A person with Master Numbers in his or her chart often experiences a more challenging life than the average person. This can result in a more spiritual and rewarding life experience, however this isn’t always the case. Not everyone can rise to the challenge of the Master Number assigned to them at birth and instead they will operate at the lower frequency of the number. The number 11 is the first Master Number and it is often referred to as the 11/2 because the person can operate at either the frequency of the 11 or the frequency of the 2. This is the number of the Spiritual Messenger. Those with 11/2 Master Numbers in their charts are being challenged to rise up to their power of leadership and to share their wisdom with others in order to bring about a more harmonious and balanced energy to the planet. In my opinion, the occurrence of the 11:11 in your life means that you are receiving messages from Spirit or Consciousness, if you will. It is a wake-up call and if you are seeing this, it means that your level of perception is rising; you are awakening to your spiritual evolution. The symbolism you see around this number (and other number sequences that pop up for you) is highly personal to you and your own interpretation. Whenever you notice this or other number sequences that catch your attention, ask yourself what you were thinking about prior to noticing it. More often than not, it is a response from your inner being to something you were just thinking about. Sometimes it is simply a way for Spirit to get your attention. For me personally, it feels like a wink from the Universe, letting me know that things are on track and I'm doing good on my personal journey. We live in a subjective universe, so the meaning is always going to be unique to you. Look into this personal symbolism for yourself for this means that you are being called to your next spiritual stage of life as the symbolism will be specific to your life experience. You see, our planet Earth is currently undergoing a major evolutionary shift. This shift is happening because our solar system has entered a new place in the galaxy. We have entered a photon band with increased light frequencies coming at us at an accelerated rate, something we have never before experienced as humanity. This light carries information from the cosmos and it makes its way to us through our sun. This means that humanity is also experiencing an evolutionary shift as our planet moves to a fifth dimensional perception of reality. Because of the Internet, more and more of us are connected now like never before and information is being shared at a rapid pace. This is increasing each day as more and more of us begin to wake up to the truth of humanity’s existence. The 11:11 phenomenon, in my opinion, is happening because it is unlocking parts of our DNA which coincide with this evolution. It is a trigger code for awakening. It is enabling us to see Truth as we have never known it and it is unlocking new areas of our consciousness. Through our media, we see greater and greater contrast, showing us the ugly state of the world. However, we must be wise and consider the fact that our media is only one tiny window into what is really going on in this world. And we must realize that the mainstream media which we have so heavily relied upon for the past several decades is in the hands of only a few people with vested interest. This enables them to give us their version of reality and if we do not bother to do the research ourselves, it is too easy for us to take their version as truth. We then form our opinions based upon these “truths” but this is very dangerous territory and it is something each of us should take responsibility for, for what we focus on increases. Thankfully, with the internet and the rise of independent journalism (those everyday Joe’s and Jane’s out there with their own blogs and YouTube channels) we are beginning to see that what we have been told about the world is not all there is to it! In fact, it is becoming glaringly obvious that Big Brother is and has been in control of our media for quite some time now. So it is more important than ever for us independent thinkers to share what we have learned and what we know so that we can be a positive influence in the evolution of humanity. There has been a movement to slow down this evolutionary process, this spiritual awakening, for a very long time now but this has shifted and now more people are awakening. So what does it mean for humanity to be awakened? It means the end of the old systems, the end of the ways that are no longer serving us or the planet. It means a stepping down of the old authority and the rising up of new, innovative methods and technologies that are here to serve humanity, not just the privileged few. It means getting rid of those practices that are destroying the planet and its inhabitants. It means stepping in to a new way of living, a more communal and supportive way of living. It means us embracing love over fear, positivity over negativity, humanity over profits. We are seeing the beginnings of this happening right now. It starts with the individual. 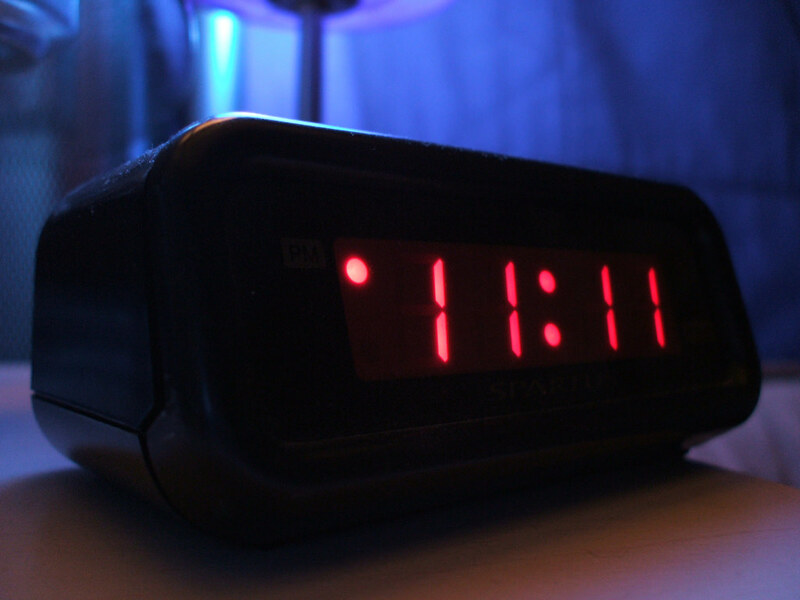 It starts with you noticing the wakeup call of 11:11. Then it is up to you to rise up to the challenge. Are you willing to evolve? Are you willing to let go of the egotistic way of doing things and learn how to work with and uplift others? Are you willing to create a new and better world? Each and every choice you make will contribute to this evolution, but one thing is for sure, humanity is awakening and there is enough momentum now that it cannot be stopped. We are going to see the end of the old within a relatively short amount of time and many people will be left feeling confused, scattered and afraid as they wake up to some shocking truths. 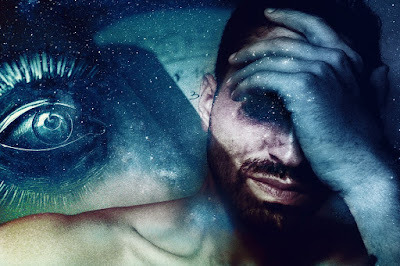 It is up to us awakened individuals to do our own research and to work on our own spiritual evolution now so that we may be there for the masses who are still asleep later on. We are being called now to clear out our karmic debt and transmute the negative emotions in ourselves into positive growth. It is time for us to let go of those things that no longer serve us and to take up those things that uplift us and our planet. Right now, only a small portion of us are awake, but soon we will all wake up. Soon we will all learn the truth that the select few have been carefully guarding for centuries. Soon we will realize our true origins as humanity, as leading edge creators, as extensions of consciousness and we will make the shift into a new world. We will receive disclosure on many different levels as more of us awaken. We will move into new areas of the galaxy and take our place as members of a much larger universe than we ever dreamed possible. Humanity has been as if in a dream, asleep in an illusionary reality. But now we are evolving and there is no going back. The clock has struck 11:11 and the alarm is going off. No matter how many times we wish to hit that snooze button, we cannot stop the fact that it is now time to awaken. It is time to stop giving in to the ego and move into the spirit. It is time to let go of the anger, the resentment, and all the negative emotions that are blocking your spiritual growth. We must first do this on an individual basis and as more and more of us learn to transmute our emotions, the sooner we change our world to a better place. Negative emotions are not to be feared, they are your guides, letting you know what it is you truly desire for your life. Once you know what it is you do want, it is up to you to start moving in that direction. You are the creator of your life; use these emotions to help you create the life you want! Feel them, process them and let them go with appreciation for what they have taught you. It is time now to see yourself as much more than a body. You are Spirit incarnate! You are the creator of your reality! You can no longer pretend to be asleep, you hear the alarm and your eyes are opening. It’s 11:11, time to wake up!